All leaders are under stress; and all people are under stress. It is how this stress is managed that is key to whether stress is your enemy or your ally. Leaders must manage their stress level so that their performance is strong and they are an example to their peers and team members. 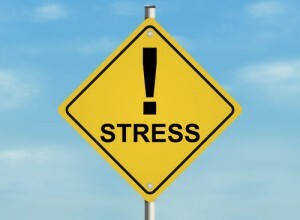 Poor stress management may also lead to conflict or health problems. 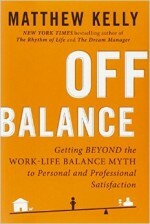 Leaders need work-life balance and the best leaders know when to turn off work stress and focus on their own self and family. When a leader exhibits an unhealthy level of stress it affects their performance and the stress level of others. If the leader is worried and exhibits behaviors that convey their fear and uncertainty, team members will follow suit and it will affect their behaviors and possibly create a culture of unhealthy stress. There are simple techniques to manage stress – being organized, knowing your plan to achieve goals, and keeping things in perspective – all are important. In addition, we strongly recommend engaging in exercise or outdoor activities to maintain your health and perspective. We also recommend monitoring the stress management of your team members and taking steps to help those who suffer from poor stress management. Having a healthy level of stress helps the leader be focused and give attention to the top priority items on his to do list. Stress management is also contagious and team members will often reflect the level of stress of their leader. Be aware of how well you are managing stress and take steps to keep it under control. You will be more productive, more focused, happier, and an excellent example to your team members. Look for signs that your stress level is impacting your performance. Do you frequently lose your temper? Are you dismissive of others? Are you working harder but getting fewer results? Do you react poorly in difficult situations? Identification of a stress problem is the initial step in taking corrective action. Get organized. Set your goals and make progress toward them each day. Work to limit interruptions and inappropriate activities or meetings that consume time. Leaders who are organized are less susceptible to increased stress. If you are under a lot of stress in your personal life, consider how to compartmentalize your problems. When you arrive at work, tell yourself that you will return to your personal problems when work is completed. If your stressful situation is critical, talk to your leader about the situation. Even if your leader cannot help in the situation, they will be more understanding of how it can affect your performance for a period of time and may also be able to refer you to additional resources. Be determined to improve your stress management skills and behaviors. Take the short stress management self-assessment on this page to identify where to improve your stress management skills and behaviors. Then, get more coaches’ recommendations in Chapter 24 of The Leadership Compass: Mapping Your Leadership Direction to help you fine-tune your stress management skills and behaviors. 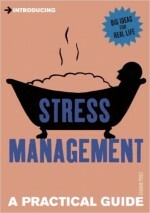 Measure your stress management skills and behaviors! When answering the questions, consider how others might evaluate your stress management. Congratulations, you have completed the Stress Management Self-Assessment. As you review your results, focus on your 2 or 3 lowest scores (1 & 2). Learn more about stress management and get the coaches’ recommendations in Chapter 24 of The Leadership Compass: Mapping Your Leadership Direction book to improve your stress management skills. I remain calm in stressful situations. I control my response when being criticized or provoked. I participate in an outside activity such as a hobby or exercise. I take time each day to think about my goals and my progress toward achieving them. I know what types of situations cause me the most stress. I do not become stressed if my plans are derailed. 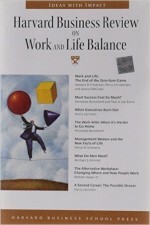 If I have stress from my personal life, I am able to compartmentalize it from my work situations. I take adequate time to eat meals, especially lunch or other work-time meal. My behavior, when I am under stress, is a good model for my team to follow. I display an appropriate sense of humor when dealing with difficult circumstances.